MIX all the ingredients until well combined. Set aside for later use. SEASON the ribs with about 1-2 tbs of dry rub, until all the ribs are covered. SELECT Saute/Brown on the Cosori Pressure Cooker and press On/Start. Allow the pressure cooker to heat up. BROWN your ribs in the hot oil meat side down, about 5 minutes. Remove them from the pressure cooker. You may may need to work in batches. 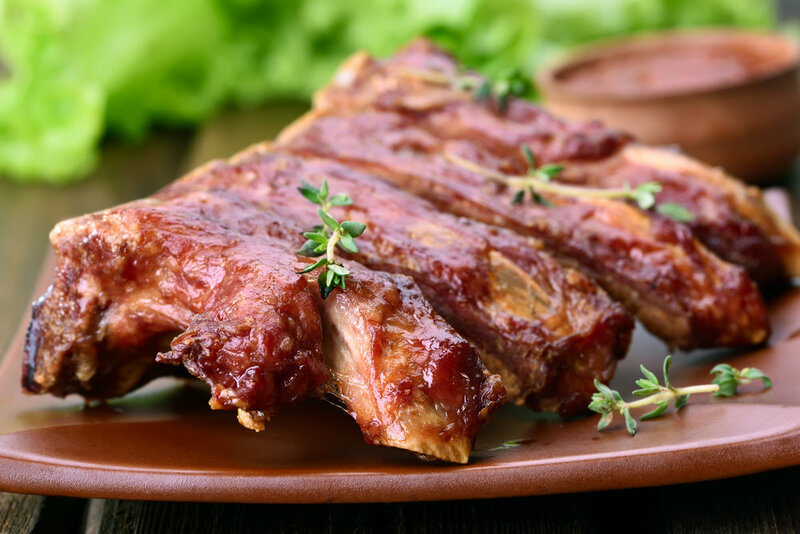 PLACE a rack along with 1 cup of water to the pressure cooker and arrange the ribs on atop the rack. REMOVE the ribs carefully from the pressure cooker onto a foil lined baking sheet. BROIL the ribs under a preheated oven with some barbecue sauce of your choice and some more of the rub until a nice crust forms, about 5-10 minutes.